This photo may not be transportation specific, but it’s still a great sepia shot of downtown L.A. that also gives you an idea of how un-Manhattan like the place is. 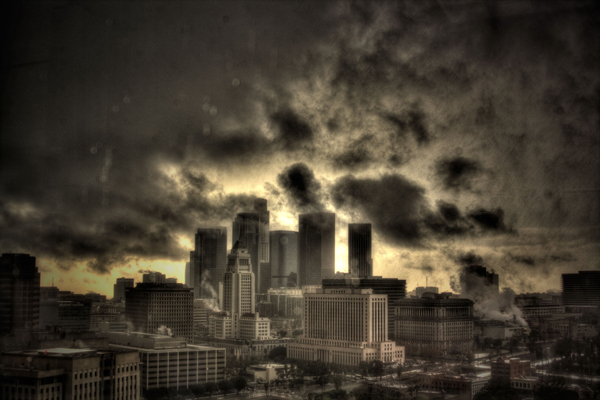 Keep submitting those L.A. area photos, people! Wooww!!! It looks like a movie trailer! A Brand NEW DAY! 🙂 🙂 Clean, pure air….no traffic congestion.